The government is to ensure that leaseholders know how to sue their conveyancer where they may have been negligent over escalating ground rents, it has revealed. It is one of several new measures to cut out unfair and abusive practices within the leasehold system, announced just before Christmas. The Department for Communities and Local Government said it would work to provide leaseholders with “comprehensive information” on redress, including where their conveyancer has acted negligently. Last year, it was predicted that the furore over ground rents that double periodically was likely to lead to a “swell” in negligence claims against conveyancers, who will be “first in the firing line” because many may not have given any advice on the clauses. In its response to a consultation that attracted more than 6,000 responses, the DCLG said it was “concerned” that ground rents have risen from historically small sums to hundreds of pounds per year in many cases. “Where onerous rent review clauses are used, consumers can find that ground rents escalate to thousands of pounds causing considerable financial distress and leaving some facing difficulty selling their property,” it said. It pledged to introduce legislation so that, in the future, ground rents on newly established leases of houses and flats are set at a peppercorn, with costs incurred by landlords for overseeing and appointing a managing agent, or carrying out wider services, recovered through the service charge or a marginally higher sales price. The DCLG would also consider how to support existing leaseholders. “A number of developers have introduced schemes to compensate individuals, but these must go further and faster. But the DCLG said these proposals alone would not address all the abuses that have occurred, “with some consumers reporting that they were mis-sold a leasehold house, or that their conveyancer acted negligently”. The response said: “It is right that individuals are compensated where compensation is due. To help consumers access justice we will work with the redress schemes and Trading Standards to provide leaseholders with comprehensive information on the various routes to redress available to them, including where their conveyancer has acted negligently. The issue has provoked considerable emotions. 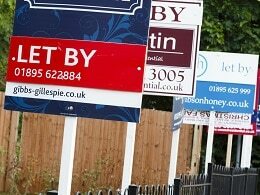 A story on Legal Futures last July that quoting a conveyancer suggesting that buyers should blame themselves, rather than solicitors, triggered several angry responses from consumers.